This article contains a step-by-step guide on installing the necessary USB driver for Scarlett/Forte/iTrack interfaces on Windows 7, 8 and 10. To stop Windows from assigning an incorrect driver, it is recommended that you do not have your interface connected before following the procedure below. Step 2: Select your product from the dropdown menu. 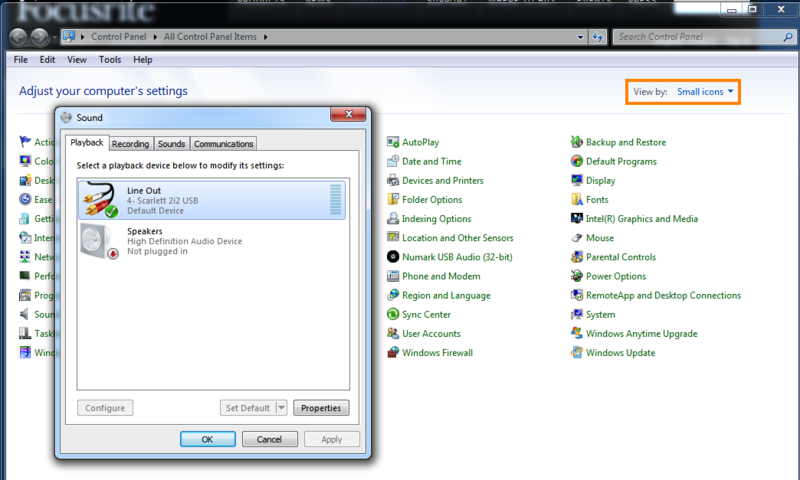 Step 3: If you have a Scarlett Solo/2i2/2i4 or an iTrack Solo, download the latest version of the driver. If you have a 1st Generation Scarlett 6i6/8i6/18i6/18i8/18i20 then download the latest version of Scarlett Mix Control. If you have a 2nd Generation Scarlett 6i6/18i8/18i20 then download the latest version of Focusrite Control. Forte users should download the latest version of Forte Control for your system. Step 4: Once the download has completed, navigate to your computer’s Downloads folder. Double-click the .exe file to begin installation. Step 6: Once the installation has fully completed, connect your interface. Windows may display the message 'Installing device driver software'. This message simply means that Windows is assigning the driver to the interface, nothing additional is actually being installed. Step 7: Wait a few moments and then check that the USB LED on the front of the interface (or the screen on the Forte) is turned on. If it isn’t, try a different USB port. Step 8: Open Control Panel and select Sound. If this is not an option, change the View to 'Small/Large Icons'.